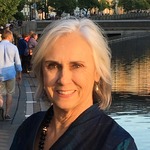 Joy Browne is an Infant Mental Health Professional and Clinical Nurse Specialist who has over 35 years experience with medically fragile babies both in hospital intensive care and as they transition to their community home. Her work has focused on supporting families in understanding and supporting their newborns and young infants, especially those who have eating, crying and sleeping problems early on. She has worked with many of these children and their families when resulting behavioral and emotional challenges become apparent and families are at a loss for how to manage their emerging mental health concerns. In her work with professionals in the community, she collected data that showed a lack of educational and assessment resources to work with these babies and their parents. So, she developed a training program that includes how best to assess and provide intervention strategies that meet the needs of this particular population. Along with the training program, Joy and her colleagues developed the Babies Adaptive Behavior Inventory (BABI) to help professionals know best how to support newborns and young infants early on. Initial validation has begun, but the next step needs financial support for the volunteers who are wilingly providing their time and energy to get the BABI birthed!